So far Robotic Shed hasn’t actually finished constructing any games, instead I have one that’s in slow but steady development. It’s probably called Free Company unless I come up with something stunningly better. Medieval fantasy strategy with spangly 3D tactical battles! Super hot turn based action! Build your own mercenary company. From humble beginnings ’til you can fell kings and all that! 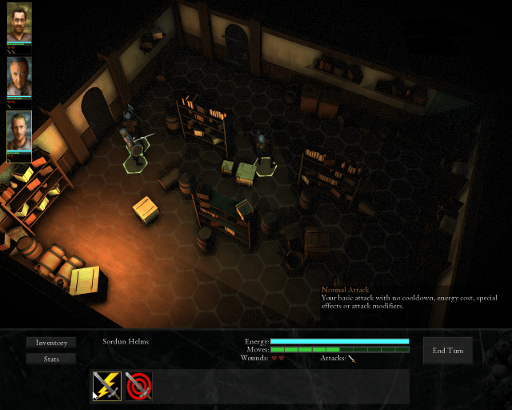 A procedurally generated world, contracts and places means you can play for all of time! Fully personal computer experience oriented! Mice, keyboards and options to fiddle with! 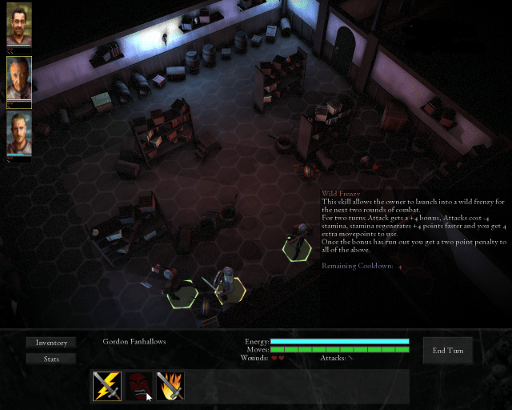 Free Company is a procedurally generated, medieval fantasy, strategy game. In an awkward sentence it’s X-Com, but with swords, magic and more of those modern gameplay and graphic luxuries that we didn’t have back in the 90’s. Robotic Shed (meaning me Dan) is fascinated by the potential of deep simulations and their power to teach us unexpected and powerful lessons. I’m spilling some of that passion all over this game, OK probably a little less than in Dwarf Fortress, but they’ve been working on that game for absolutely ages, and anyway I’ve got shiny 3D. If I do it right there’ll also be explosions, intrigue and most enticingly of all lots of hexagons. Right now, the game’s development is about midway through, I’m practicing a sort of moderately open development methodology which I call; “when-I-remember-can-be-arsed-and-am-feeling-optimistic-I-upload-a-bit-of-the-game-publicly” development.